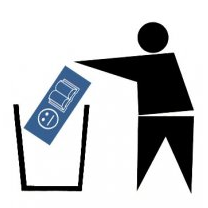 How to permanently delete your facebook account: Part D.
OK, good job reading all instructions so far. You are now ready to actually delete your account! If you are asked to log in, do so. Then follow the instructions on screen. thanks for the instructions. i agree, facebook is stupid. if someone is not a friend enough to give you a phone call then they don't need to read about me on facebook. lots of personal info about kids, when on vacation and house is empty, etc. watch out for the creeps out there gathering all this info about you. I hope this works and if so, thank you for posting this info and taking the time to do so, very unselfish of you to do this for us folks. I want to delete Facebook because of several security and verification problems. I recently had to create a new one and It won't let me do anything without verifying my account with a mobile phone or a credit card. I can't use a credit card and i verified my old Facebook with my ONLY mobile phone number so it won't let me use my ONLY mobile phone number. I am VERY FRUSTRATED by this so that's why I want to delete my Facebook account. Facebook is bad for all of us. - Most dangerous website in the world.